The day will come in the near future that the enmity between the Jews of the House of Judah and the Lost Tribes of Israel represented by the Tribe of Joseph or Ephraim, Joseph’s heir to the divine blessing, will end. In that day, we will all as one family, will join together in the fall celebrations of Rosh Hashana, Yom Kippur, and Succot. Once again in almost three thousand years, the descendants of Abraham, Isaac and Jacob will be united as one family in covenant under Hashem, the G-d of Israel. 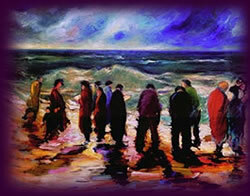 One day in the near future, all Twelve Tribes of the House of Israel will come together and worship as one with Hashem, the G-d of Israel the command that He gave to them on the Mount called Sinai. For forty days in the month (Elul) preceding the 7th month of Tishrei, all the tribes of Israel will spend in reflection, introspection, and anticipation of a renewed and refreshed relationship with the G-d of our forefathers. This tradition preserved down over the last 3000 years by the Jewish people is called chesbon. During the month of Elul, the shofar is blown each morning, except on the morning of the Shabbat. Here are the days of preparation getting themselves ready for Rosh Hashanah by introspection, turning inward, looking deep into our psychic and culling out the roadblocks that are keeping us from a living and spiritually healthy relationship with our family, our friends and our associates in our social cultural world around us. Yes, even our relationship in the gentile world around us is important for we are Hashem’s representative to all of them. Rosh Hashanah is a time to celebrate with the blasts of the shofar. This special day is known by three different names; The Day of Remembering (Yom HaZikaron), The Day for Sounding the Shofar (Yom Herusah), and The Day of Judgment (Yom HaDin). Actually the word, Rosh Hashanah actually means “Head of the Year”. Albeit the head, it is not the beginning of the year, because this day falls on the first and second day of the seventh month called Tishrei. Nisan 1, the New Year for Kings and festivals, during the 1st month of the Hebrew calendar. Tishrei 1 – Rosh Hashanah, the anniversary of the Creation of the World. During this day, we are to absolve all our Charatah implies remorse, or a feeling of guilt about the past and an intention to behave in a completely new way in the future. The person decides to become “a new man.” But teshuvah means “returning” to the old, to one’s original nature. Underlying the concept of teshuvah is the fact that the Jew is, in essence, good. Desires or temptations may deflect him temporarily from being himself, being true to his essence. But the bad that he does is not part of, nor does it affect, his real nature. Teshuvah is a return to the self. During “repentance”, it is important that you dismiss the past and start anew in your life. Yes, you can do this every year – a time of renewal and starting afresh for teshuvah implies that you are going back to your roots in G‑d and exposing them as your true character. It might be claimed that a true Tzaddik, a righteous person has no need to repent. It may also be implied that the wicked may be incapable of doing repentance but both of them may do teshuvah. The righteous Tzaddik, though they have not sinned, “strayed from the mark” during this year, also have an obligation to constantly strive to return to their innermost spiritual soul. This also includes the wicked, however distant they have gone away from G‑d. They have the privilege of always returning, for teshuvah implies the fact that we are not involve creating anything new, but are only rediscovering the latent goodness that has always remained within us. On the first day of Rosh Hashanah, the ritual of taschlich is performed. Crumbs of bread are tossed into water and the hems of garments are shaken. This alludes to the fact that sins are being cast away. On the afternoon of Rosh Hashanah or on the second day of the festival, a Tashlich ceremony is performed. This one has a lot of symbolisms that are healthy for growing children to become involved. In a pond, pool, stream or river of moving water, we take crumbs from inside our pockets, each one a memory of something we want to leave behind in the New Year and cast it away from our lives; forever. The crumbs are thrown into the water is a ritual of casting away the sins in our lives and moving onward towards a new life. This is a powerful ritual for families with children; time to talk about making mistakes, saying sorry to others for our behavior, changing our lives with a renewed vigor in order to walk away into a new life. This New Year will be a different and more elevating year in our lives. Yes, we, and even our children can learn to say; “Good Bye, mistakes. I do not need to do that again!” In this ritual we can teach our children and renew it importance in our lives to take control of our actions, and now begin a lifelong process of self-reflection in improving our lives and our relationship with G-d or our forefathers. Y’hi ratson milfanecha Adonai Elohaynu vaylohay Avoteinu shetchadesh aleinu Shanah tovah u-m’tukah. May it be Your will, Ad-nai our G-d and G-d of our ancestors, that you renew for us a new, good and sweet year. In the days of ancient biblical times, the ram’s horn called the shofar was blown to announce the beginning of the New Year. Like a divine alarm clock, it awakens our spiritual inward self to reflect on how we can become better people. Tekiah Gedolah (the Great Tekiah); a single blast that is held as long as the blower can hold the note. During the Shofar Service, it is a notzvah (commandment of G-d) to hear the sounds of the blasts of the shofar. Every day during each day of Rosh Hashanah the Shofar is sounded 100 times. At the end of Yom Kippur, the shofar is blasted for one long blast. During the Ten Days of Repentance between Rosh Hashanah and Yom Kippur, are the days in which we have the opportunity to apologize and make restitution and forgiveness from anyone we may have offended or hurt during the year. This is a time of spiritual and physical repentance and restitution by reflecting upon our past bad deeds, and looking forward into the New Year to make a start of a new life. During the ancient days, when the Temples of the L-rd were filled with millions of worshippers, Yom Kippur was a day that was filled with elaborate rituals, special sin offerings or sacrifice in exchange for the atonement with G-d by the High Priest of Israel, and forgiveness through him to the Hebrew community by the Almighty One of Israel. During this august service, called the Day of Atonement, the High Priest with only linen white garments enters behind the Immense Veil separating the Holy Place from the Holy of Holiest. There before the Ark of the Covenant, the High Priest confesses the sins of the people and there before the Shekinah Glory of G-d he utters the Holy Name of G-d, something that is never done any other time of the year. 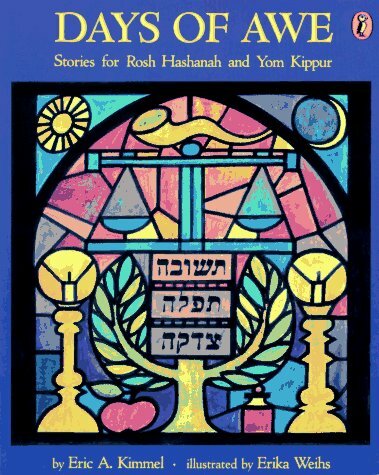 Today in the Orthodox synagogues during this Holiest Day in the Jewish calendar, Yom Kippur begins with a serious prayer called the Kol Nidrei (meaning all vows), a legal formula written in Aramaic that impeaches the G-d of Israel to absolve us from all vows and promises we have made during the past year. Also on this day, all Jewish adults fast. Just before the setting of the sun on the eve of Yom Kippur, a festival meal is eaten. Then for the next twenty five hours, an hour after sundown, they do not eat nor drink. Fasting is a way of clearing the brain, and removing all distractions and therefore better able to focus on prayer. Fasting has a way of showing our dependency upon G-d for without His bountiful blessing even with bread and water, our lives would be quickly vanquished. It also reminds us in our hunger of the millions, maybe billions of people around the world who are starving and never get a decent meal. According to the Talmud, after a person eats or drinks; he has but one heart, a heart only for himself. At the same time, before a person eats or drinks, that is while he is fasting, he has two hearts; one for himself and one for all the hungry people around the world. Yet, the main essence of Yom Kippur is resetting our spiritual time clock, returning to the “Spiritual Me”; returning to a focus on Hashem, the G-d of our covenantal relationship, and sensitizing the awareness of our blessings from “On High” and our responsibility to the people living in the greater world around us. Rabbi Zalman Shmotkin – “Everything about Yom Kippur, points to you: In times of old, one High Priest serving our one G-d in His one Temple on His one holiest day on behalf of His one people elicited G-d's atonement for the entire world. Today, one person, with one turn of his or her personal page, doing one good deed, or making one good resolution – can also change the course of the entire world for the good. So this Yom Kippur, you hold the keys to the world's future. You have the power to tip the scales for all of humankind. Your good deed, your repentance, your primal cry – from the depths of your soul, will penetrate the Gates of Heaven and will elicit a reciprocal response from our One G-d.
L’Shanah Tovah Tikatayvu v’Tichataymu! - "May you be Written and Sealed for a Good Year in the Book of Life!" As the Ten Lost Tribes of Israel begin their Great Aliyah to the Land of Israel, a new dimension will be portrayed in the Fall Festivals of Rosh Hashanah, Yom Kippur and Succot. The family of our Patriarch Jacob will have finally come home and now reunited with one another. This will be a prophetic event of a great magnitude. If you want to learn more, Contact “Kol Ha Tor Vision”, the Voice of the Turtledove.